We have a new limited edition coin for 2019. The Royal Dragon 5000 is the same design as our Platinum 5000 coin, but has been finished with gold so that you can see the incredible Lee Smith design. It's a big coin, measuring 32.5 mm (about 1.25 inches). 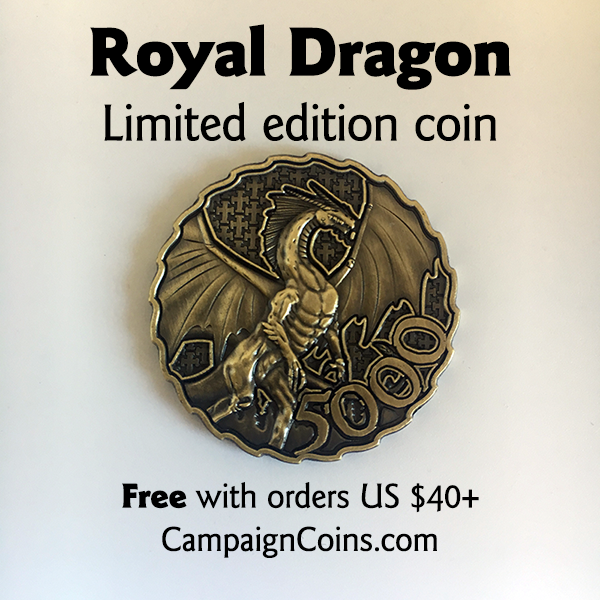 We will include a Royal Dragon coin for free with any mail order over US $40 before postage. Once your order totals more than US $40, the coin will be automatically added to your shopping cart.